Make your own modelling clay! 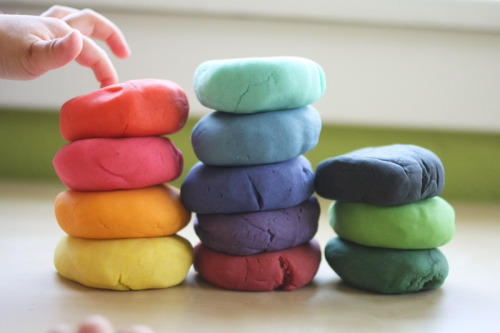 Definitely NOT for eating but perfect to make lots and lots of little sculptures in any colour you like! Keep stirring and it will soon go smooth and form a dough. Remember to let it cool before playing!